I for one, love peas. I know they are the underdog of the vegetable world, next to Lima beans and broccoli. My husband absolutely detests them, even after living in a country where they are a part of the standard Sunday roast. My love for peas and all vegetables green goes back to childhood where my mom thankfully introduced us to the fresh version before canned and allowed us, instead of a packing plant, to decide how they tasted. Why am I banging on about peas? Well as many New Englanders know, the 4th of July festivities were postponed. Some by a day, some by a week. We attended a 5th of July party (fireworks to follow that upcoming Saturday) and we’re asked to bring a side and something to throw on the grill. We brought portabellos with a pesto cream sauce for the grill, but the surprising winner (for me at least) was the side. A cold pea salad, no mayo. 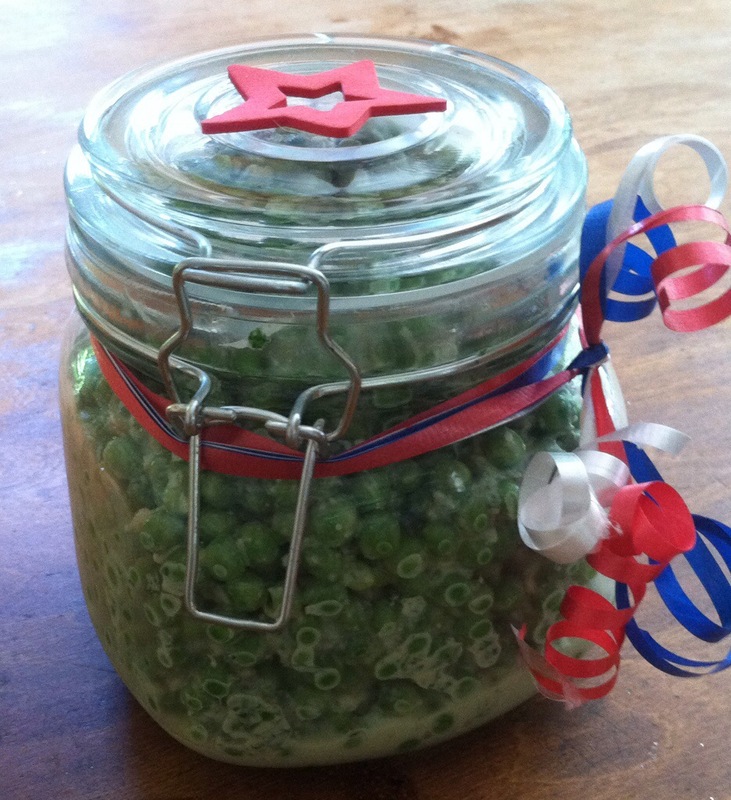 I wanted to make a pea salad that harkened to it’s British roots (cold, minted and mayo or salad cream delight) but I’m not big on salads that really shouldn’t sit out in the heat for indefinite periods of time. This salad was delicious, easy to make and I, sadly, could eat the whole bowl (but didn’t). In a food processor mix together olive oil, mint and the garlic clove together until a wet paste forms similar to pesto. You may need to add more oil, eyeball it. Add goats cheese and spices . Fold ‘pesto’ mixture into your peas and squeeze the lemon juice over top. Add zest, stir to incorporate and taste.